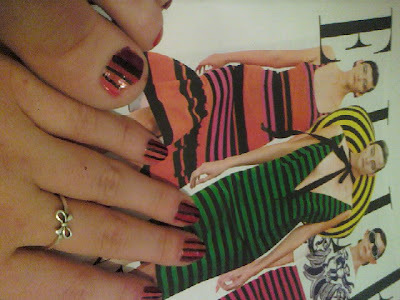 Dress Me, I'm Your Mannequin...: Check out my Prada nails!!!! How to create Prada SS11 inspired nails . . . 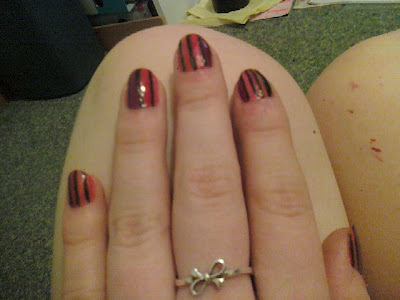 This idea was inspired by Prada's orange, pink and black striped dress . . . Also I couldn't decide what summer colour to paint my nails, so I thought why not use them all!!! 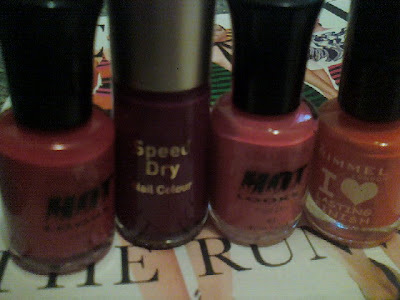 I used 4 different coloured nail varnishes, all warm shades, Including Collection 2000 Hot Looks in shade 29 Big Hair (£1.99); Boots N07 Speed Dry in shade 43 Foxglove (£6.99) Collection 2000 Hot Looks in shade 43 Fruit Salad (£1.99); Rimmel London I <3 Lasting Finish in shade 050 Tangerine Queen (2.99). 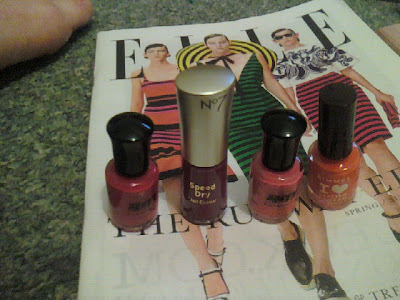 All nail varnishes are available at Boots (although prices may vary). 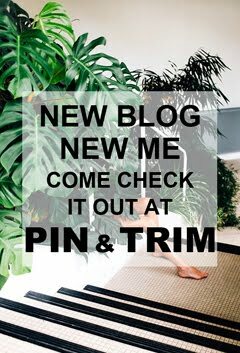 You will also need scissors and masking tape to help achieve the straight lines, a fine black marker pen/nail pen and clear nail varnish. 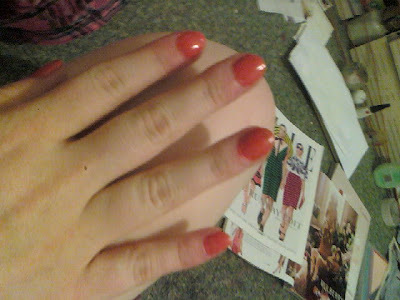 Firstly paint nails in the lightest shade, in this case, I used two coats of the orange. 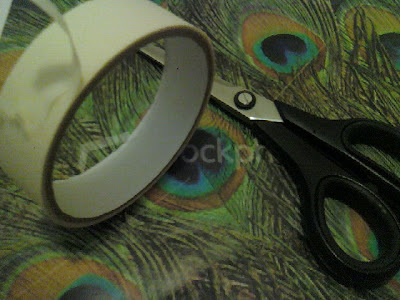 Cut strips of masking tape, and use them to outline the stripe. I painted on uneven sized stripes, like seen in the Prada SS11 collection. Use the next two lightest colours, in this case the red and salmon pink. 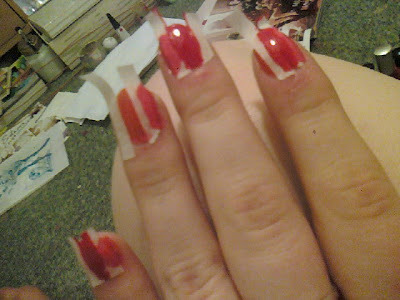 Unpeal the strips when nail varnish stripes are dry. Beware, nail varnish may slightly peel back at edges if not properly dry, however this can easily be pressed back down into place. Reapply new masking tape strips, to add in further stripes in a darker shade, in this case raspberry. 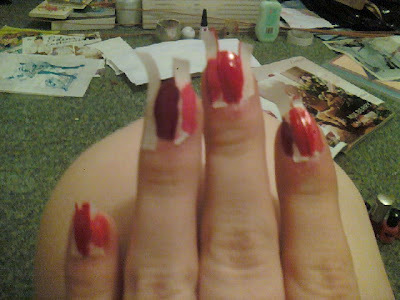 Wait for nail varnish to dry, and peel off the masking tape, carefully. 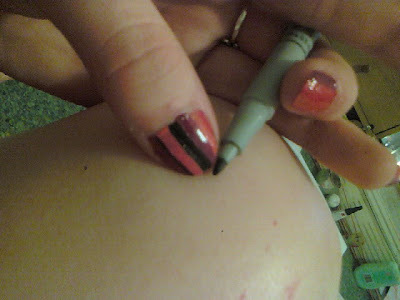 Use a fine black marker pen or nail pen to draw on the black stripes, for a more dramatic effect. Paint a clear coating of nail varnish over the top, to protect, being careful not to be too heavy handed over the black lines, as they may smudge. And voila!!! 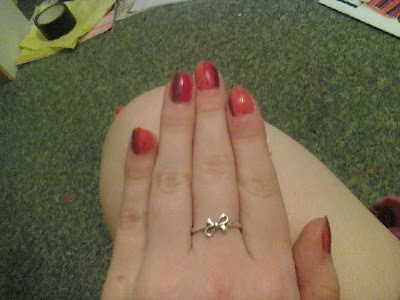 I also did it on my toe nails!